The new Kapow Comic Con in London last April was a great event for publishers and we at Scar Comics sold out of almost all of our books. We launched two new books at the show, which was a bit of a gamble considering this was the inaugural event. However it paid off as Kapow enticed fans and the curious browsers alike. Yes all the usual faces could be seen, but in addition about 3000 new faces were attending and they all seemed to have money to spend on comics they’d never heard of! The two new books – The Mice and Slumdroid created huge interest and both creaors Roger Mason and Ben Dickson respectivly were there to help promote the books and sign copies for fans. The added bonus was that our small stock of older titles also sold out including Madam Samurai Book #1 and Falling Sky. The latter, also by Ben Dickson, was probably – we speculated – doing so well due to the interest in the similarly titled production “Falling Skies” from Steven Speilburg, as Kapow attracted not just comics fans but movie and TV lovers too with a host of star guests from both Hollywood and the Britisth TV Industry. 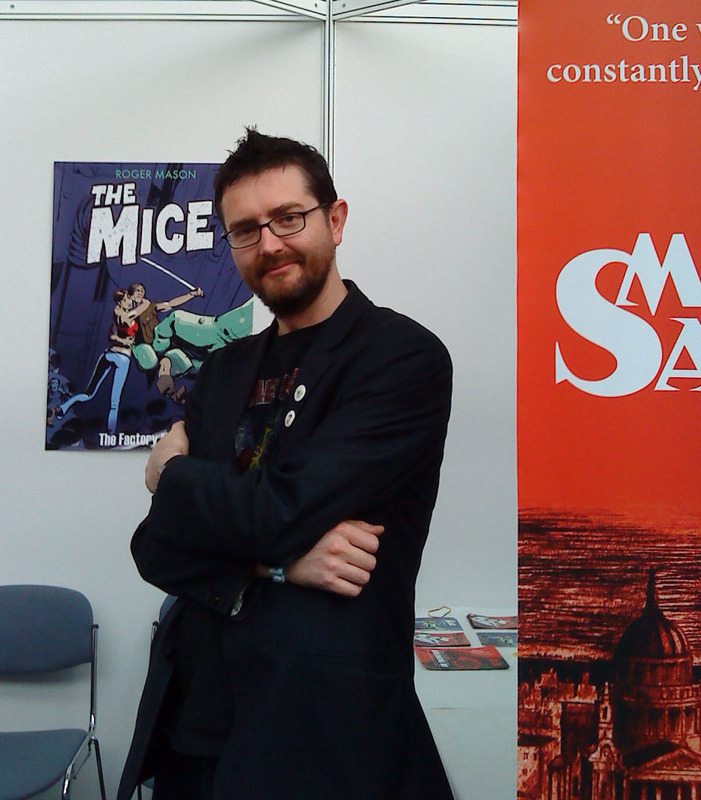 We are now looking forward to the second Kapow in 2012 as well – of course – 2011 Birmingham Comic Com and Thought Bubble in Leeds.